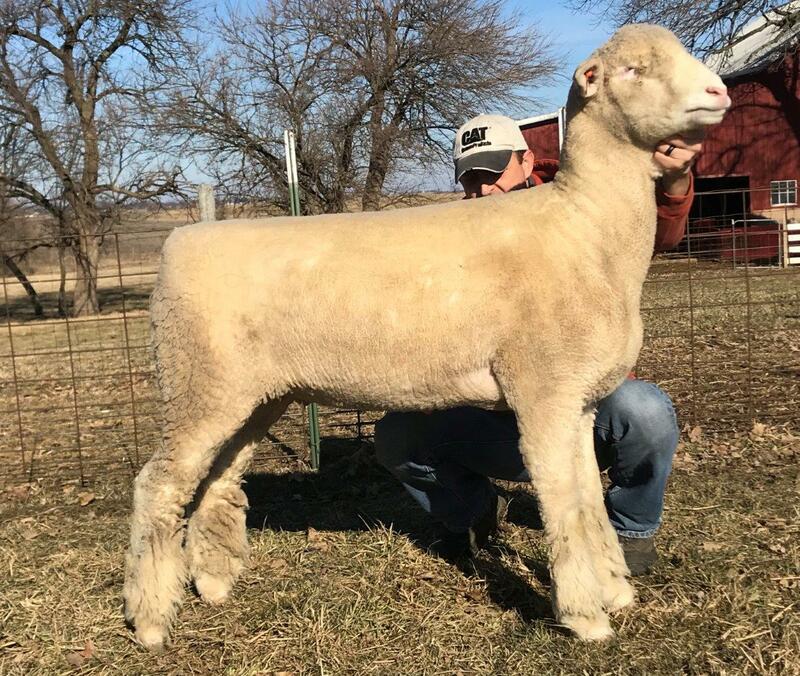 Super dimension and capacity in this yearling ewe. 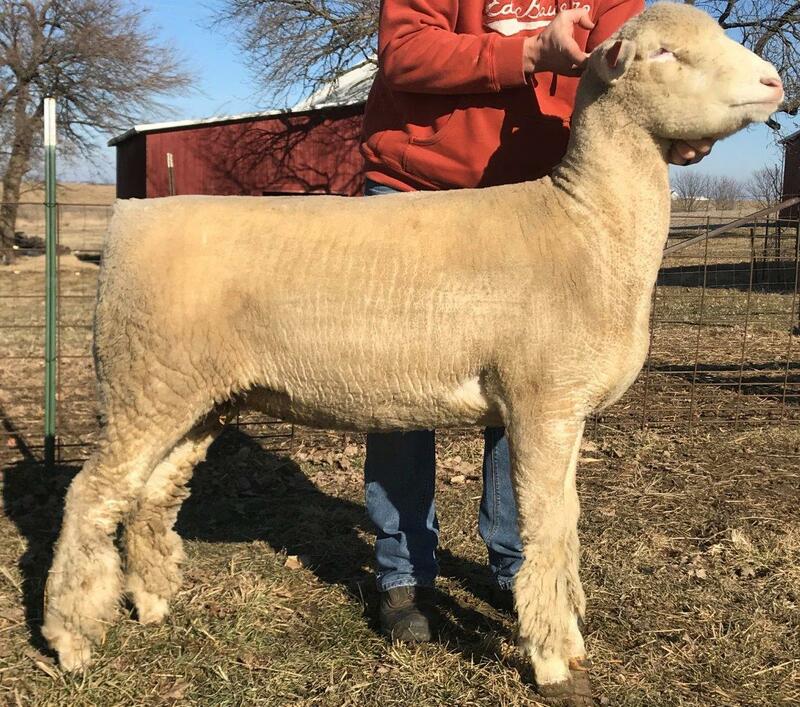 Her dam, QMF 610, has hit on every mating since retiring from the show ring. The "JW Blue" daughters make great mothers and great brood ewes. 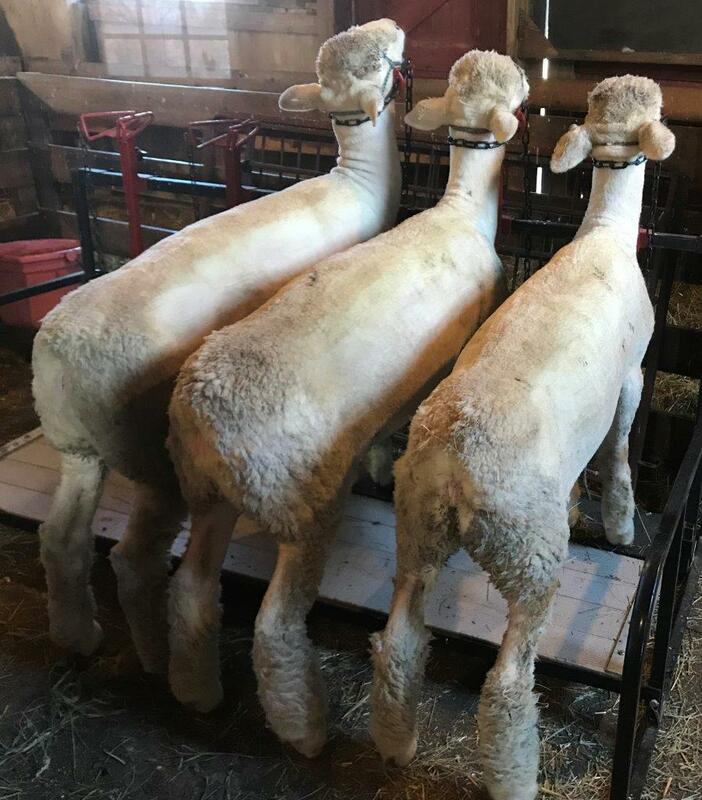 We purchased 4 fall ewe lambs in PA last January, so our yearling ewe pen is a little fuller. Hence we are digging deeper and making available some 'keeper' yearling ewes. This ewe is very attractive upfront and has good rib shape and a square hip. 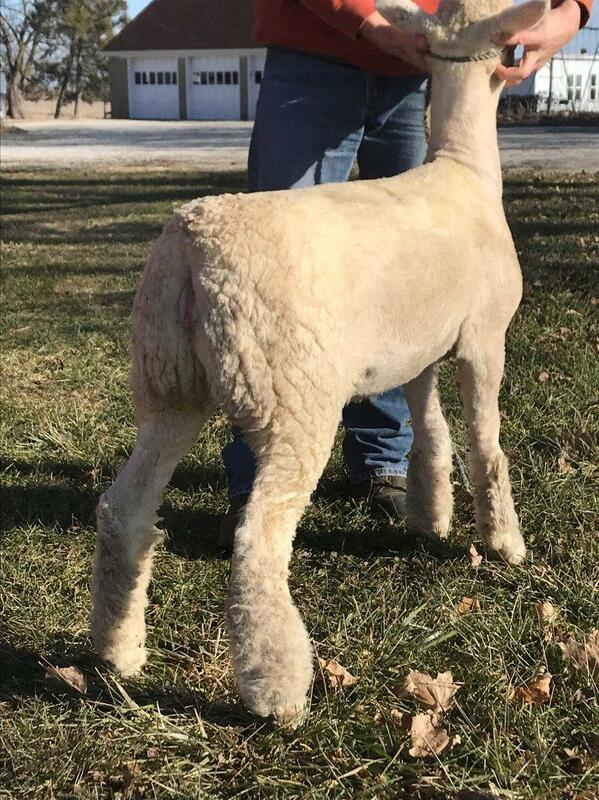 If we would have taken show lambs to NAILE, this ewe would have made the trip. 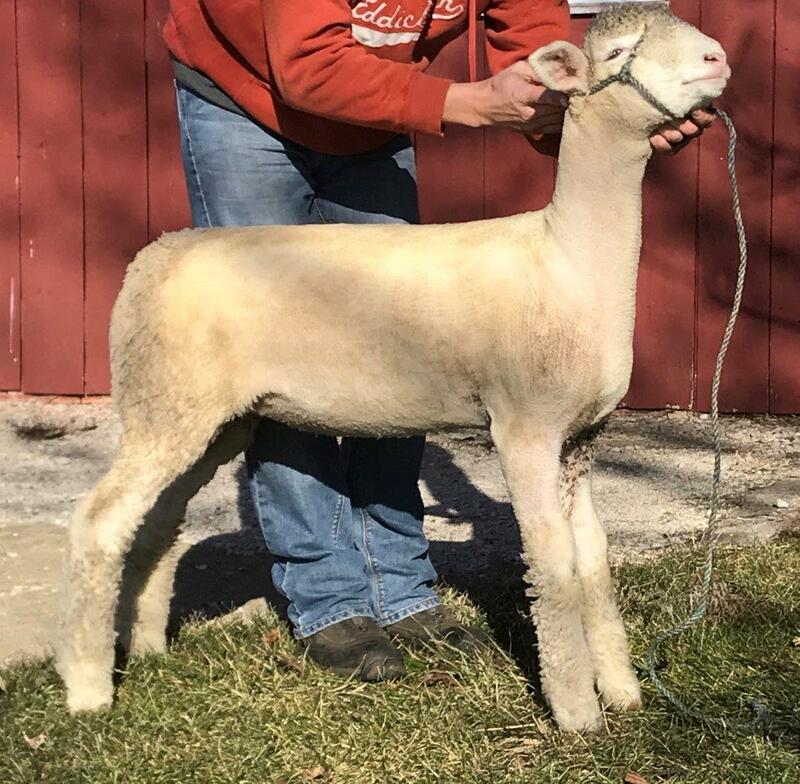 We really like this ewe for not only her desisgn and stout structure, but her genetics. "Primo" on both top and bottom side. Her maternal granddam is RF5202 "2nd Chance". 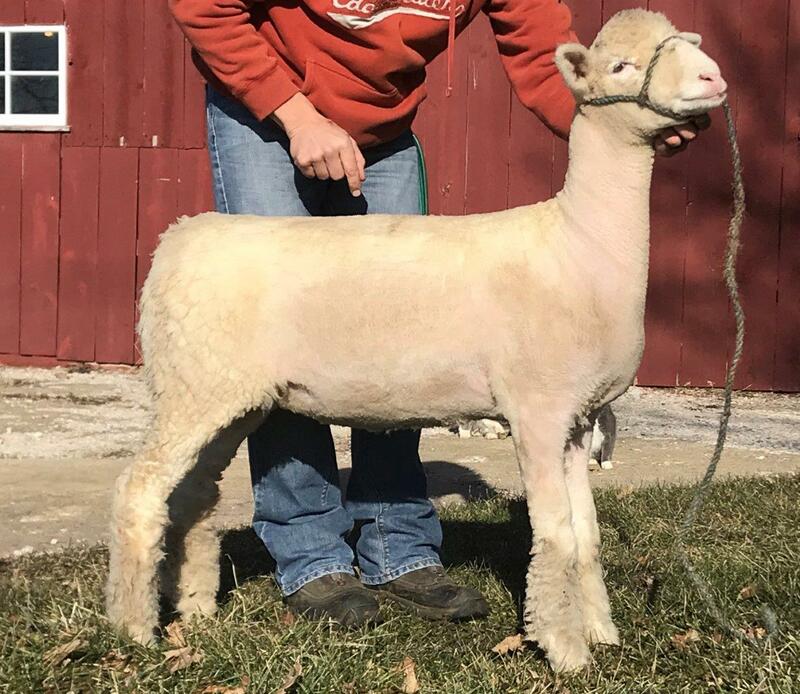 Super patterned and shaped ewe lamb. She runs uphill very nicely and stands very square on good bone. 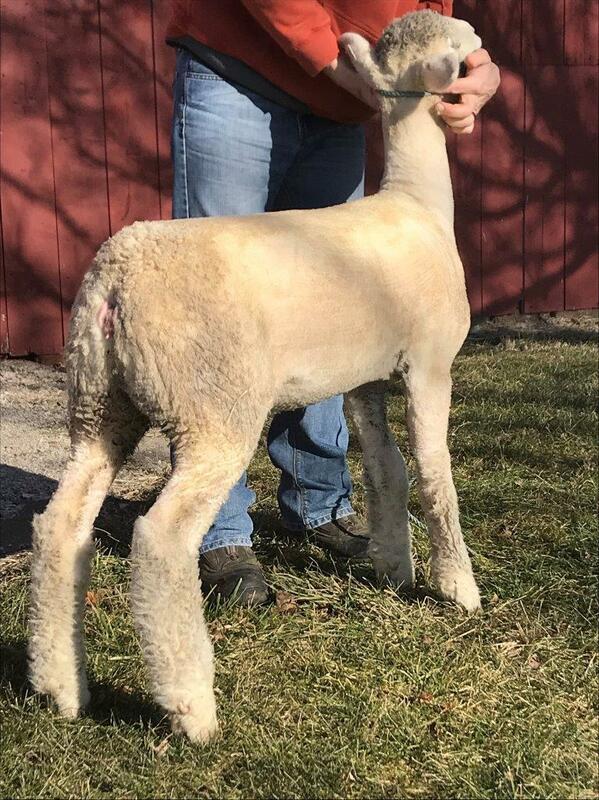 Dam: QMF 664 by "Shock Top"
This fancy ewe lamb goes back to "April" who was purchased for $2500 and successfully shown by Ethan as a lamb and yearling. She has alot of gas left in her tank and should make a very competitive fall ewe lamb this summer. Dam: QMF 643 by "Memory Maker"
We kept several ram lambs from the fall group to grow out. We are excited to watch them grow and expect to bring one or two to OH and IL Sales. Excellent set of yearlings and falls on the farm sired by "JW Blue", "Halftime", and "Murphy's Law". 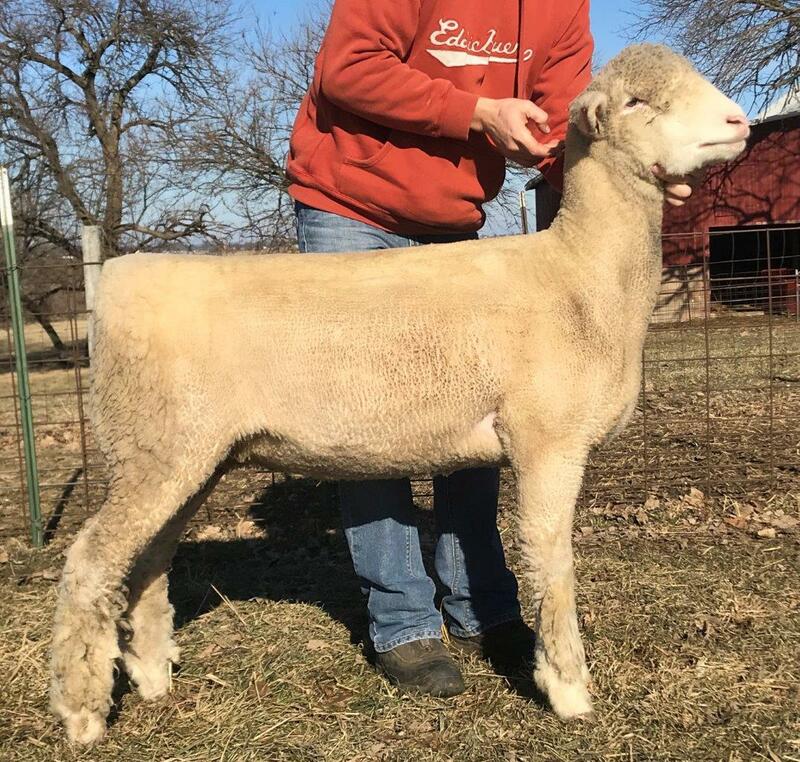 On farm sheep pictures and videos available upon your request, Stud ram options available for lease or purchase.